Tired of dragging your laundry to the same old Montclair laundromat every week? Ready for something new? We’ve got the perfect laundromat for you. We established Alvin Place Laundry with the goal of changing people’s expectations of what a laundromat should be. After all, many of us spend time at the laundromat every week. Shouldn’t going to the laundromat be an enjoyable experience? NJ Laundromats thinks so. That’s why we’ve designed a clean, climate controlled environment here in Montclair with a friendly staff, room to relax and entertainment while you wait. Just think: you could be checking your email or browsing the Web on our free WiFi while your clothes take a spin in our high efficiency washers. Or you could just sit back and enjoy your favorite TV show on one of our flat screen TVs. Plus, we’re conveniently located next to the A&P Supermarket, so you can even get some of your grocery shopping done while you wait. There’s a reason we call Alvin Place Laundry “Upper Montclair’s Brand New Laundromat of Distinction.” There’s definitely no other laundromat like it in Montclair, NJ. 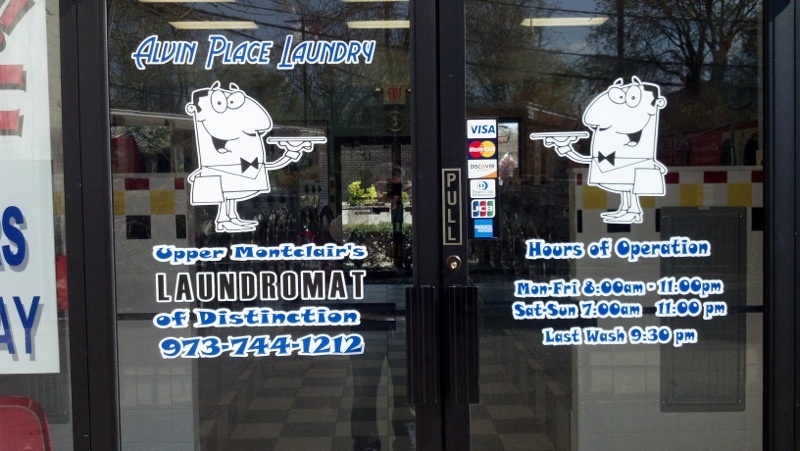 Give Alvin Place Laundry at 12 Alvin Place in Montclair, NJ a try on your next laundry day. We know you’ll love it!